A vertical platform lift can increase safety and accessibility at home, while helping you enjoy your home life more. We offer our clients some of the best vertical platform lift options from the most respected manufacturers. Many times people choose to install a vertical platform lift because it takes up less room than a ramp, many people find them to be a more attractive option. 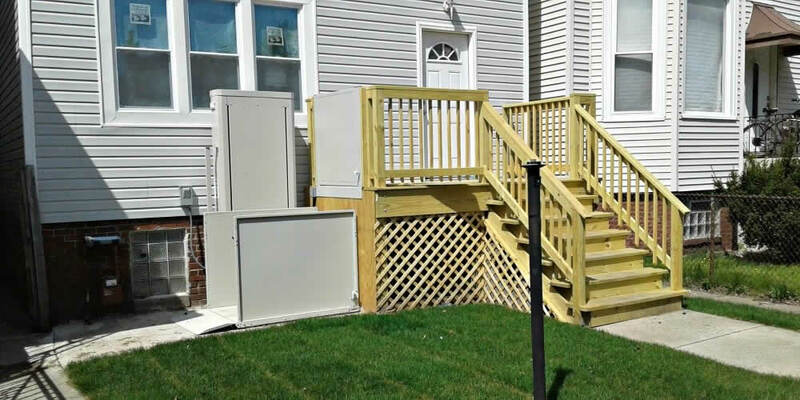 Vertical platform lifts are able to transport a power chair, wheelchair, power scooter, or other mobility device up and down between the levels of your home, either inside or outside. They range from 600 lbs to 1,400 lbs.